QUESTION: If you asked for a “love-apple” in early New England, what would you have asked for? I know you wouldn’t want to substitute a “love-apple” in the following recipe. I suspect, however, that the following recipe will result in a delicious treat. I can only suspect this because I have never tried making apple brownies. If you try making them, please, let me know if my suspicion on its deliciousiosity is correct. 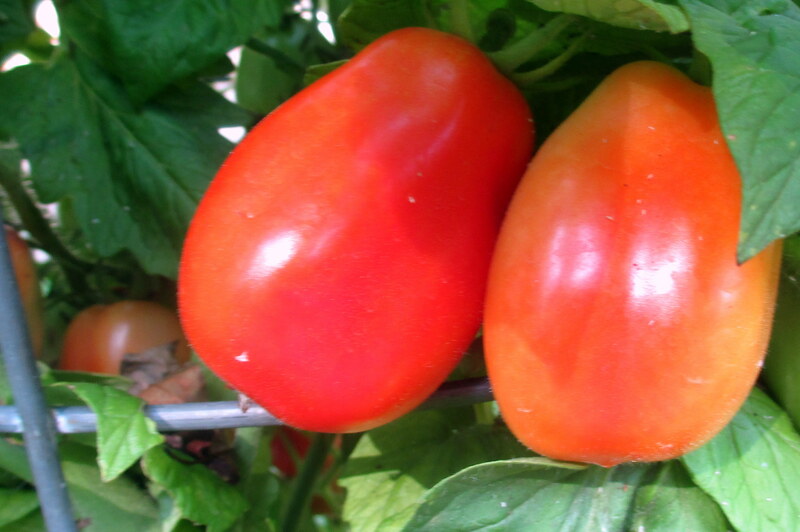 In most parts of New England, tomatoes were called “love-apples” and were shunned as being poisonous. Not so in my early 21st century world. Red tomatoes are popular items in Atlanta, Georgia’s farm market. They can be seen in home gardens and farm market booths throughout the New England coast, in Ohio, in New York, and all around our Southwestern Pennsylvania region. 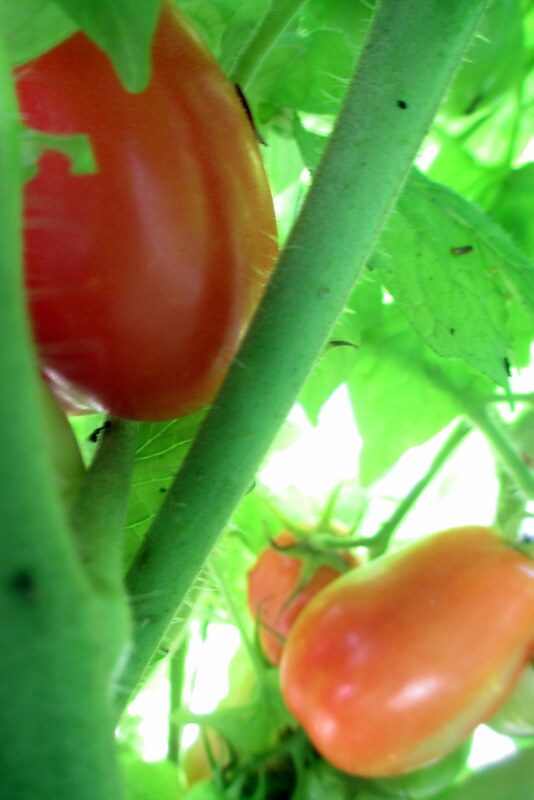 Many of my Southwestern Pennsylvania home gardeners were horrified when, in late July 2009, a late-blight began destroying their tomato plants in Westmoreland County. Brown lesions, caused by a fungus-like pathogen, were appearing on their tomato plants. This late blight can devastate tomato and potato plants. It can rot fruit and kill tomato plants within two weeks. Farmers and commercial growers who depend on selling tomatoes, a high-value crop, are struggling to fight this blight, which has also been spotted in potato crops. My garden tomato plants began contracting blight in 2009, and did so every year for several years. I stopped planting them. This year is not a loss, since everything I planted fed the deer, because we weren’t home enough to stop this. However, Maine’s seafaring families didn’t shun love-apples… Sea captains brought tomato seeds from Spain and Cuba, and their wives planted them, and the good cooks in the families experimented with variants of the ubiquitous and somewhat characterless tomato sauce of Spain and Cuba. The ketchups they evolved, in spite of the aversion to tomatoes throughout early America, were considered indispensable with hash, fish cakes, and baked beans in Maine, even in the days of love-apples. 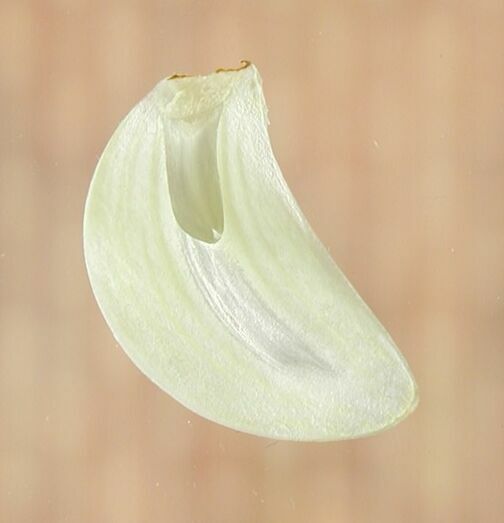 Trim about ¼ to ½ inch from top of garlic head with a sharp knife. Bake at 3500 F. about 45 minutes or until garlic head is soft and lightly browned (I tend to stick a couple of filled garlic roasters in the oven when my husband Monte is baking his bread…or if the oven is on for some other reason). If not using a garlic roaster, baste the garlic heads a couple of times while they are cooking. Toast bread and brush with melted butter. 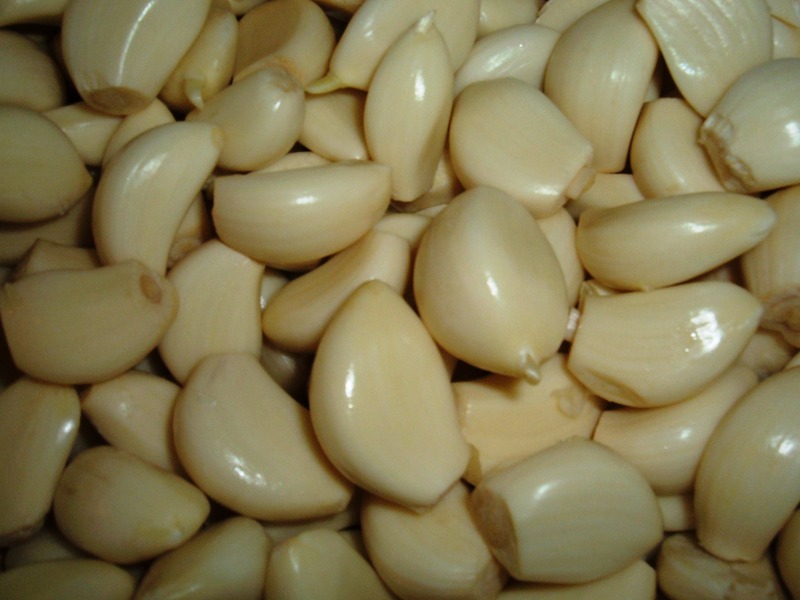 To serve, carefully detach cloves of garlic, squeeze pulp onto bread and spread. Makes 2-3 servings per garlic head. 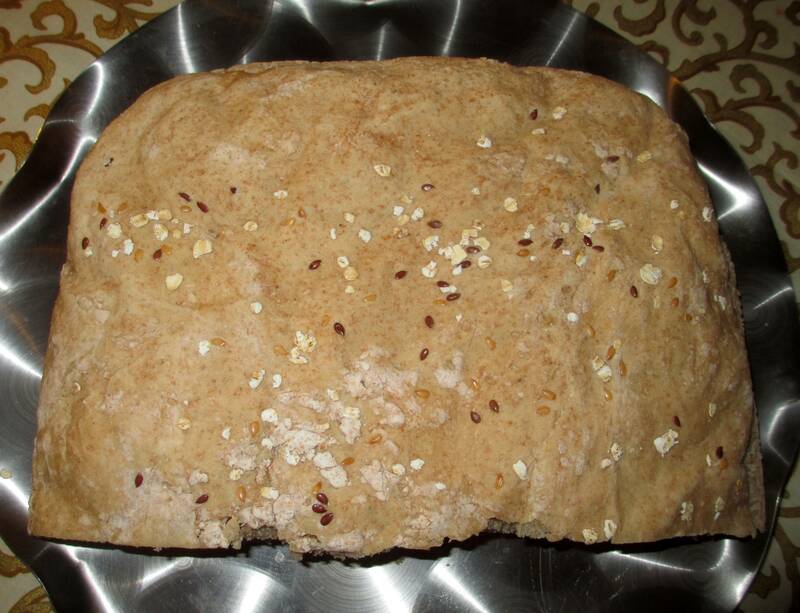 My husband Monte asked me if I would post his no-knead bread recipe in CAROLYN’S COMPOSITIONS so he could share it with others, especially those requesting it who participate in the Upper Room Devotional online chat. 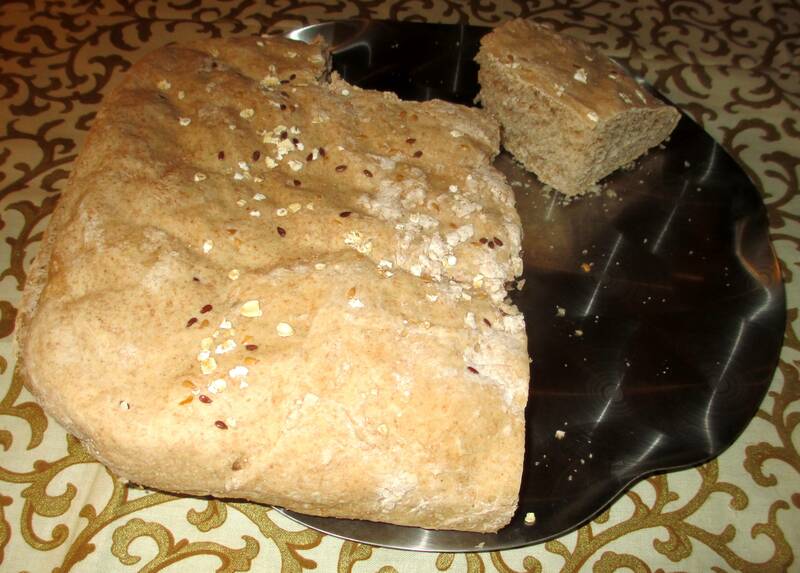 After years of being the cook, I relish eating the hot homemade bread, fresh from the oven, that I didn’t have to bake. Or anything I don’t have to make. I’m certain many of the women in our country would agree with me, even though there are many others who love to create in the kitchen. Me, I’d rather create on my keyboard. 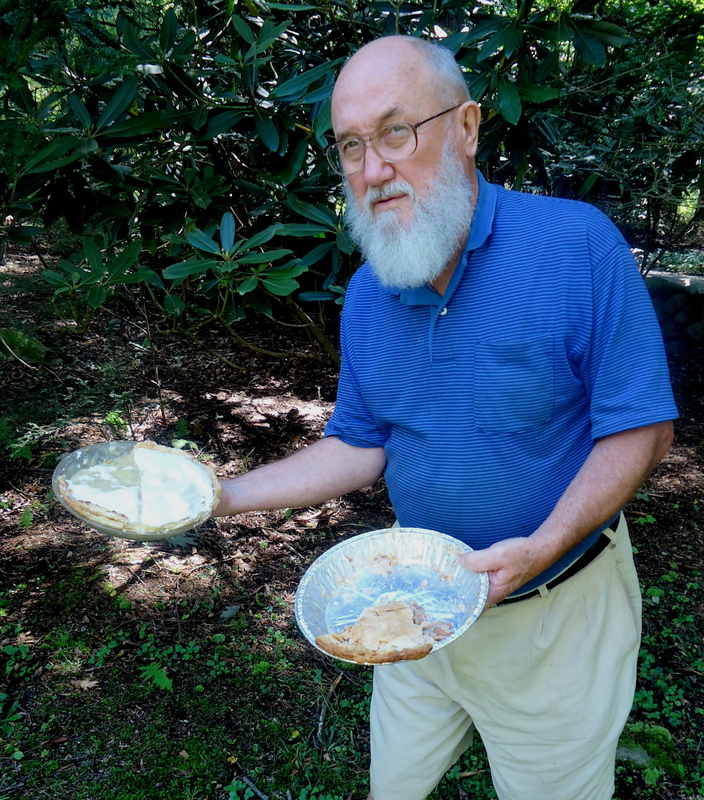 Monte also bakes pies, his specialty being pumpkin pie made from scratch, eg. a pumpkin from a garden, not pumpkin from a can. You might enjoy reading A Martha and Mary Situation , which includes a rhubarb pie recipe. As for our son, we encouraged him to cook and sew so he wouldn’t have to marry just to have these tasks done for him. He does the cooking in his family, making bread regularly. As for our daughter, she learned how to pound a nail and other building tasks, for the same reason. I wanted them to be free to marry for love, not for someone to take care of them. Cover the bowl with plastic wrap or a plate until the dough rises and fills the bowl (I place the bowl in a slightly warmed oven, heated to no more than 1000, then shut off). The dough takes 5-7 hours to rise. I spread softened butter onto the pastry on my plate. As I did so, the butter dribbled over my fingertips. I reached for the orange marmalade and added it to the pastry before picking up the popover and trying to graciously bite into it. The butter and jelly oozed out onto my hands and had I not quickly leaned over my plate it would have dripped onto my white winter sweater. How, I wondered, does anyone eat one of these delectables in a civilized manner? I learned a sneaky trick when entertaining people who didn’t know each other. I served something worse than spaghetti, an item which I never saw anyone eat without, somehow, staining some of their clothing. This recipe is messier than spaghetti. Because it cannot be eaten politely—it drips and goos with hot butter and other fillingS—it “breaks the ice” among persons just becoming acquainted. I received this recipe from the late Edith Snyder, a member of the former Emmanuel United Methodist Church in New Castle, Pennsylvania, where my husband Monte served between 1985 and 1990. Place in a loosely covered one gallon glass jar at room temperature. Add the above ingredients—they will fill the jar. Mixture will bubble some and may pop the lid off. This is fine as long as you have something under the jar to catch the liquid. NOTE: DO NOT REFRIGERATE DURING THESE 20 DAYS OR THE NEXT TEN DAYS. On the 20th day pour the mix into a large bowl (Tupperware Fix and Mix bowl is the correct size). Day #1: Add to the starter mix 2 1/2 cups sugar and a 29 oz. can of sliced peaches, with juice. STIR EVERY DAY WITH A PLASTIC OR WOODEN SPOON. Hug for Gail, who requested this recipe years ago. When my cousin Gail visited me while I lived in Buffalo, many moons ago, I served a cherry-basted roast that she never forgot. For about 10 years she’s been after me for the recipe. Last I knew she found a recipe and used it, but it is probably NOT this recipe, which is the only recipe for cherry glazed pork I’ve come across in my files.. So I post this recipe for cherry-almond glazed pork for her benefit, and I will send the original copy to her. When you brown and cook the chops, be sure that they do not overlap in the skilled, so each one will be evenly glazed with the cherry sauce. For 2 or 4 servings, you’ll find the pork chops easier to prepare and serve than a tiny roast. But when it comes to a dinner for 6 or more, we recommend the pork loin roast with the same scrumptious cherry-almond glaze. Monte and I had spent a week preparing the house and food for special company: meeting a sister whom my mother released for adoption 63 years ago. In the wee hours of the day of their visit Monte was preparing pies—two rhubarb pies (one requested for the meal we would share, the other a gift for my sister to take home with her) and an apple pie for my new brother-in-law and myself (neither of us care for rhubarb pie).By the time I rose and shone the pies were baking and Monte was cleaning the kitchen mess. The rest of the meal was prepared. The day before I had prepared a New England pot roast, and a friend, Joanne, responding positively to my request, was making the salad. While the pies finished baking Monte read an Upper Room1 devotional about a woman who was asked to prepare a funeral dinner. Never having done anything like this, she became overwhelmed and worried. On the day of the dinner other persons were at the church to help, the dinner was prepared on time, and the receivers were grateful for it. The Luke story relates the contrast between two women, Mary and Martha: Martha spends her time in the kitchen preparing the meal. 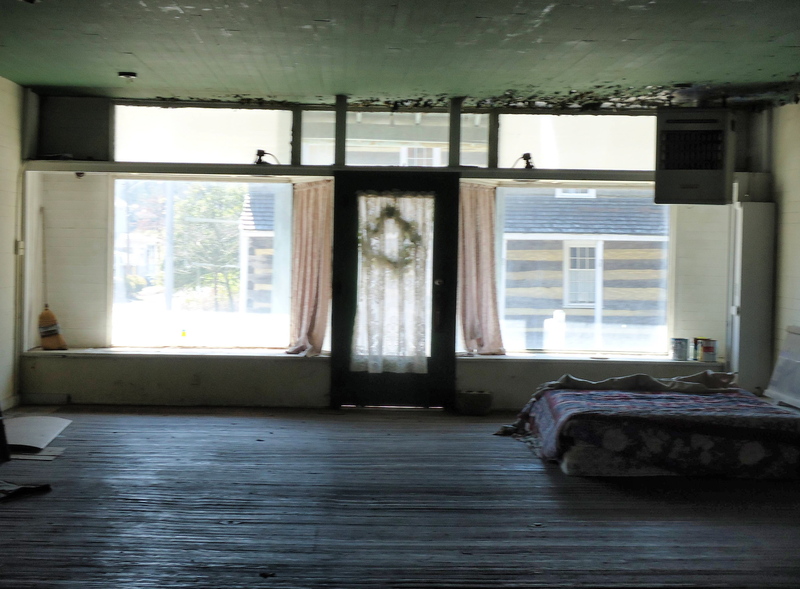 I was like Martha, overwhelmed by preparations and worried about getting the work done. Mary chose the better way by sitting at the feet of Jesus, listening to his words.